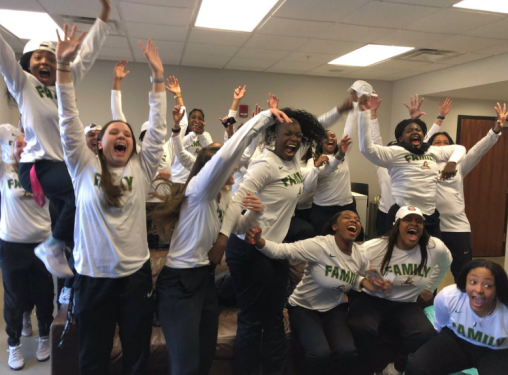 The Wright State women’s basketball team will continue its magical season in the NCAA tournament Friday, March 22, against Texas A&M at College Station, Texas. Game time is 4:30 p.m. Eastern and will be shown on ESPN2. The Raiders are the 13th seed in the Chicago region, while the Aggies earned the 4th seed. The winner will play the winner of No. 5 Marquette and No. 12 Rice on March 24. The Raiders (27–6) won the Horizon League regular season and tournament titles with wins over Oakland, IUPUI and Green Bay. This will be Wright State’s second trip to the NCAA tournament after qualifying in 2014. For the second time in program history, Wright State has received a vote in the AP Top 25 Poll. The Aggies went 24–7 and 12–4 in the SEC this season and were recently ranked 14th nationally by the AP and ESPN polls. More information will be released soon. Fans can purchase tickets online.